The median home value in Antioch, TN is $243,000. This is higher than the county median home value of $207,600. The national median home value is $185,800. The average price of homes sold in Antioch, TN is $243,000. Approximately 41.43% of Antioch homes are owned, compared to 42.58% rented, while 9.55% are vacant. Antioch real estate listings include condos, townhomes, and single family homes for sale. Commercial properties are also available. If you see a property you’re interested in, contact a Antioch real estate agent to arrange a tour today! Learn more about Antioch Real Estate. Completely remodeled home with fresh paint, new flooring, and an updated kitchen including new appliances. You will love the fireplace, abundance of storage, cathedral ceilings, and upgrades throughout the home. Immaculate 4 Bedrooms & 3 Full Baths provides a great living for the family. Split Level Colonial with 3 Bedrooms and 2 Baths (UP) , Kitchen, Living Room and Open Area on the 1st floor along with an undated kitchen, hardwood floors and a screened porch for relaxation. Downstairs you will find a Family/Media Room, 1 BR and 1 FB, Hobby Room & Lots of Storage. The home provides easy access to the garage from the First (1st) Floor. Impeccable grounds for a beautiful outdoor experience. Wait until you see this completely renovated, all brick charmer with NO steps! Corner lot, surrounded by mature trees and quiet neighbors, there isn't an inch of this home that hasn't been touched. Brand new roof, gutters, windows, kitchen cabinets, granite throughout, appliances, bathrooms, plumbing & lighting fixtures, water heater (2yrs old) interior paint, carpet, landscaping, garage door & opener, landscaping, etc. Extra large walk-in closets, with extra storage closets & garage workroom. 1 Acre on High Traffic Count road currently has been used as a house but is Zoned CS commercial zoning. Brick with full basement that has a 2 car garage. New roof. Rest of house was completely updated upstairs 5 years ago. Neighboring similar property just sold for $450,000 and is being remodeled. New construction - The Best Builder and Value - Ole South Properties!!! Granite kitchen countertops, white vinyl privacy fencing around patio, blinds on all windows, upgraded kitchen appliances, 9 foot ceilings on first floor, upgraded carpet, trey ceiling in master bedroom, double vanity and 5 foot shower in master bath, laminate flooring on entire first floor. Brick front. Lovely house located in the Cane Ridge community. Entrance to the greenway and park (via greenway) is less than one block from the home! Huge master suite & large eat-in kitchen. This house has a great, level backyard - one of only a few in the neighborhood. Bonus area at top of the stairs is perfect for an office, play area or just additional living space! Home has updates throughout including kitchen backsplash, new HVAC, new garage door hardware & motor & updated light fixtures. Motivated Sellers!!! This one ready to go! New paint, vinyl floors, dishwasher, woodburning fireplace; built-in bookshelves; neutral colors 6' wood privacy fence.. $5k towards closing cost, hm warranty ,upgrades. Great starter and investment property. A rare 3 bedroom 3 1/2 bath town home in Lenox Creekside with 2 car garage & over-sized deck. Each bedroom has its own bath w/walk in closet. New paint and new high-end carpet on top floors and stairs, and new laminate flooring on bottom two floors and stair landings. Access to the Mill Creek Greenway behind house, private 2 car garage, and a great neighborhood. Brand new appliances and washer/dryer come with the house. 6 miles to Brentwood, 16 miles to downtown Nashville. Great Buy! This beautiful 3 bedroom home features a large rocking chair front porch, new carpet, new tile flooring, neutral colored walls, laminate wood flooring, fireplace, stainless appliances, and new light fixtures throughout. A MUST SEE! Sold-As-Is. 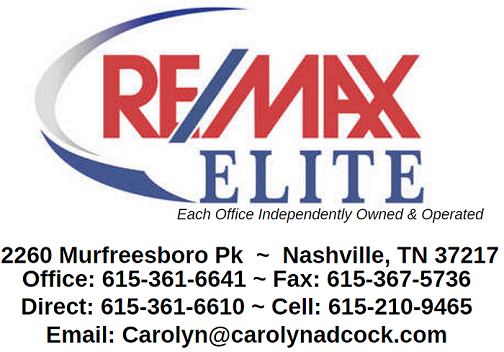 Hottest New Community In Middle Tennessee. Directly across from new $100 million mixed use development Starwood Commons. Walk to new 650 acre grand scale park (Mill Ridge Park), Publix Supermarket and shopping centers. 15 minutes to downtown Nashville and Nashville BNA Airport. Spacious single level Cali with 4 bd/2ba open concept. $5,000 closing cost paid with DHI Mortgage + April Appliance Promo***Smart Home Package Included. Beautiful home with New kitchen, quartz counter top, tiled floors in kitchen and baths. Hardwood floors throughout, new windows. 10x16 Deck that overlooks the huge yard with mature trees. Potential addition in basement. New shutters, fresh paint , crown molding throughout. All new stainless steel appliances. A MUST SEE!! Incredible Opportunity to own a spectacular looking home. One owner. This home includes: hardwood floors, gas fireplace, double sinks in the master, tray ceiling, 9' ceilings, closets galore and a garage! Rare listing in this community and at this price! Cape Cod with Covered Front Porch. Fenced in backyard. Over-Sized bedrooms, Great Room with Fireplace, Master with Garden Tub & Double Vanity. Appliances that Remain Stove, Dishwasher, Disposal, & Microwave. Blinds Remain.